Grab a Neapolitan- or Sicilian-style slice at this pizza joint, located in the space where the original Ray's Pizza once stood. Four signature pies boast neighborhood-inspired names like the thin-crust Mercer Margherita, made with fresh mozzarella, basil and marinara sauce, and the Spicy Spring, topped with Fra Diavolo sauce, spicy sopressata and fresh mozzarella. Do not mess this one up. Do not go to Prince St. Pizza and order a Neapolitan slice. Do not go and order a calzone. Granted, you will not be disappointed with anything you get here (except for maybe the rice balls, which I've never actually ordered, because...why would you?). But please, do yourself a favor, and get a Spicy Spring slice. That's the one you've seen all over Instagram- the one with the little slices of soppressata that act as adorable little vessels for all that delicious oil drizzled over the top. Like little pockets of grease that cascaded down directly from heaven. Then, and only then, are you allowed to sample the remainder of the menu. 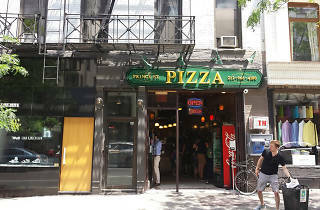 Not in one visit, necessarily, unless you're some sort of pizza-devouring demigod (wow...2 religious references in one review) with the capacity to put down a seemingly endless amount of 'za with ease. In which case, teach me your ways oh mighty one. MUST DO if you’re in New York! When you arrive, the queue down the street will look intimidating but don’t let that put you off - you need to get in there and get your spicy pepperoni square! There’s a reason so many people queue! That square slice also known as a grandma slice of pepperoni has so much pepperoni cups that you'll the oil from the pepperoni just oozing. Take a picture and make your friends and family hungry. Tons of celebrities have come here that you could see from the wall and there's a reason why. The pizza is fantastic and few other places can rival the square pepperoni here. The lines can get out of the door for lunch or at night but it's so worth the wait. Small space, excellent pie. Go for the famous square pepperoni and don't look back. The pepperoni grandma slice... AMAZING! Don't go to this place for its award-winning decor and atmosphere. 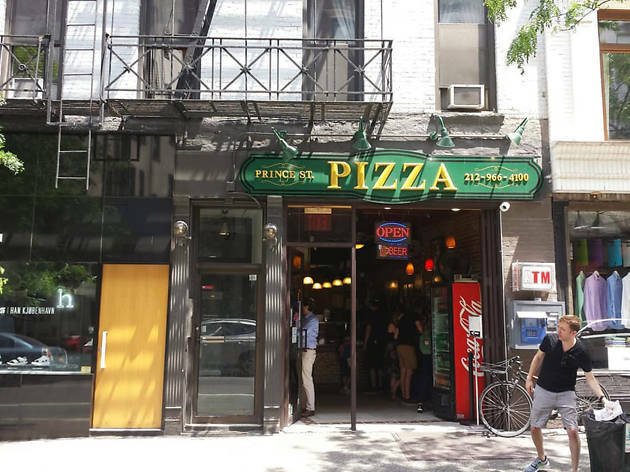 Prince Street Pizza is a tiny hole in the wall, but that hasn't stopped tons of people flocking there including many A- List celebrities. The staff is super friendly and eager to help you chose your perfect slice. The most sought after slices are the original and the spicy spring with fra diavolo sauce, spicy pepperoni, and fresh mozzarella. 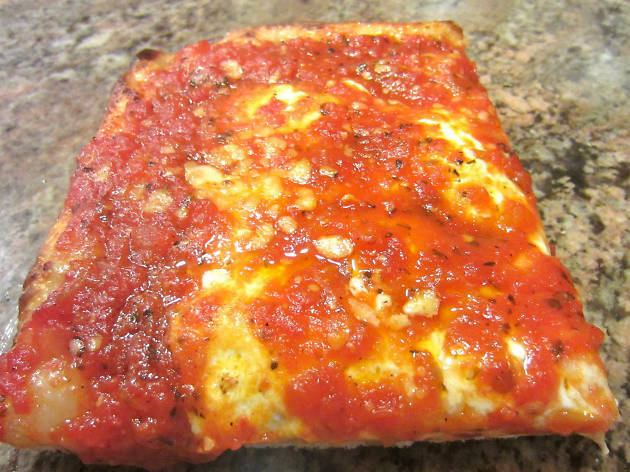 Try a twist on the original slice, the fancy prince, that has fresh mozzarella cheese. The deliciousness doesn't stop at just pizza. They've got mouth-watering rice balls and fried calzones as well. This is easily one of the top 10 slice joints in the city. The vodka slice is amazing, the plain slice has the exact right cheese-to-crust ratio, and if you don't get the square slice with pepperoni, you've messed up. 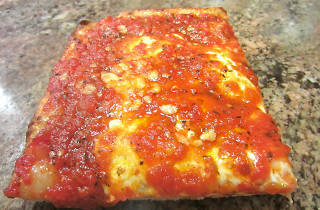 It's spicy and the it's got the good pepperonis that sometimes retain little pools of grease in there curled up edges. Food is Great, Great Service.